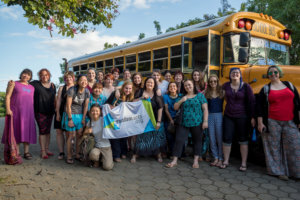 When we started preparing for our first Dreams to Acts: Nicaragua trip earlier this year, we knew it would be an important moment in Random Acts’ history. After our team of 26 volunteers was finally decided, and bags had been packed and tagged for transport, we were finally able to gather our ourselves together and prepare for what we expected would be an incredible week of unforgettable moments, hard work… and lots of bug spray, of course. 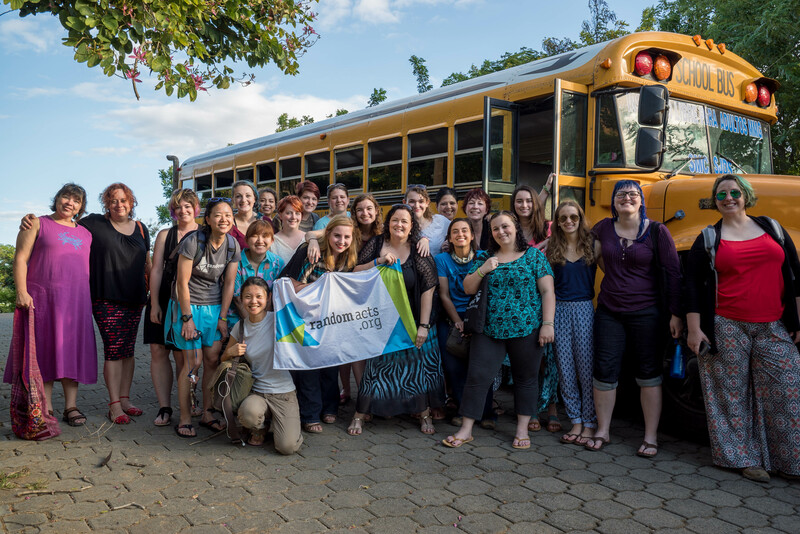 When our volunteers and staffers (and dedicated supporter and friend, actor Osric Chau) finally landed in Managua, it was obvious that this trip would be one to remember. Between the lush green scenery and the mountainous volcanoes looming in the distance, there was plenty to be seen and experienced. Our volunteers’ excitement was palpable. After a three-hour journey in a school bus (which Random Acts helped to purchase for the Free High School in 2013), we finally arrived in San Juan del Sur, and over the next couple days, we were able to meet with the students at the Free High School and the soon-to-be-graduates of the Free Technical School, where students were busy pursuing their certificates in various areas of study. Sitting in on a few of the students’ classes, we learned that while their situation wasn’t necessarily ideal, their work ethic and positive spirit more than made up for it. Following our two days of student visits, we had the opportunity to at last start working. 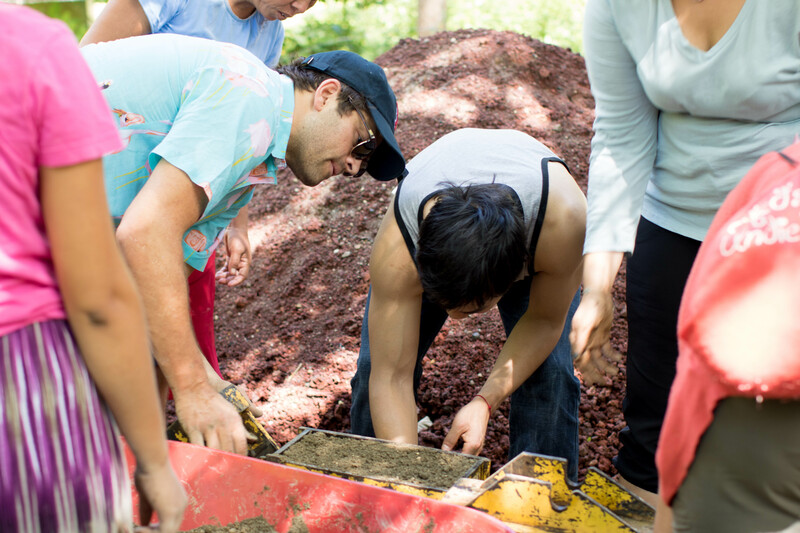 While one half of our team of volunteers, led by Random Acts founder Misha Collins, got down in the dirt at a rural community outside of town, building bricks for eco-stoves (which prevent irritating black smoke from filling the families’ small tin-roof homes) and sifting and washing gravel for new compact water filters, the remainder of our team trekked over to the new campus site, where construction on a new Random Acts- sponsored school building for the Free High School was underway. 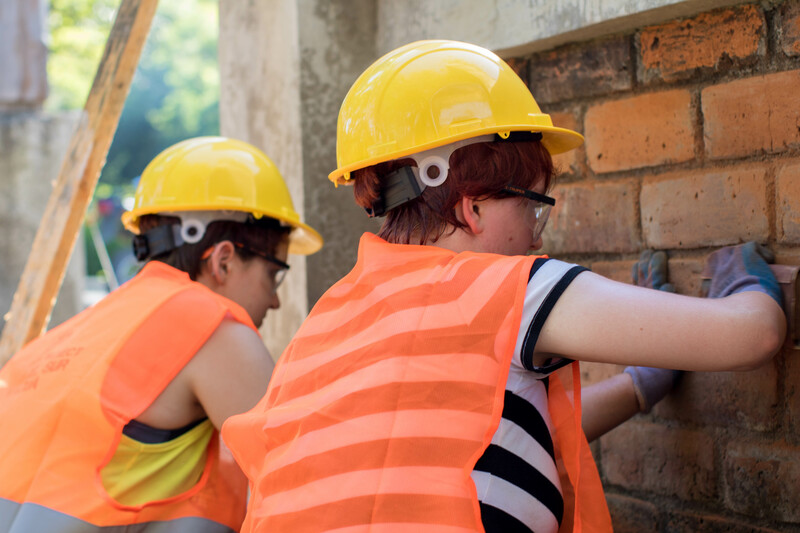 Between bending metal, welding steel plates, laying new concrete, and sanding red-faced bricks, the Dreams to Acts volunteers and staff had more than enough to keep them busy. 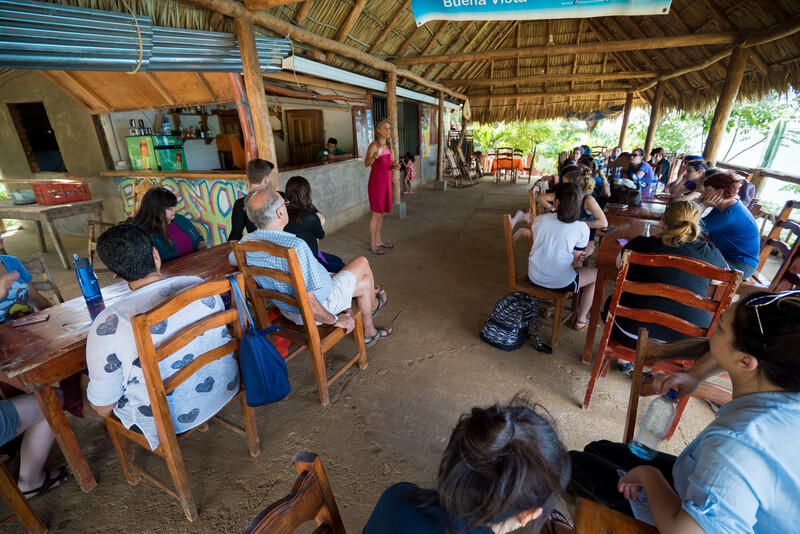 During our first few days in San Juan del Sur, we were also lucky enough to meet with the children and teachers of the Barrio Planta Project, an education initiative created to empower low-income children and adults through supplementary schooling programs, and whose January theater program Random Acts has sponsored. Our scavenger hunt with the bright young students there kept us on our toes, as we made our way around downtown San Juan del Sur, snapping random photos of kind acts, delicious looking fruits, and — what else? — savory rice and beans. Thanks to the guidance of founder Dyani Makous and her staff of amazing program directors and instructors, our team grew to love every one of our new friends during our brief time together. 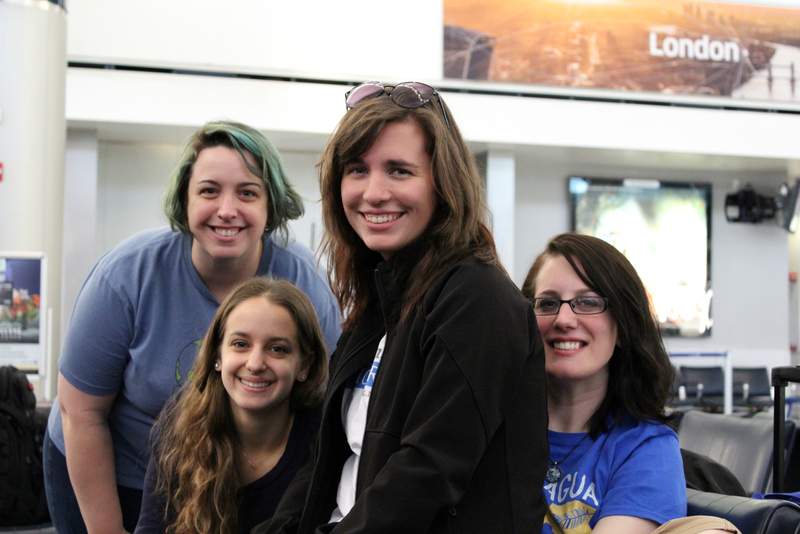 When the time came for us to leave that evening, we parted with high hopes that we’d see one another again soon. 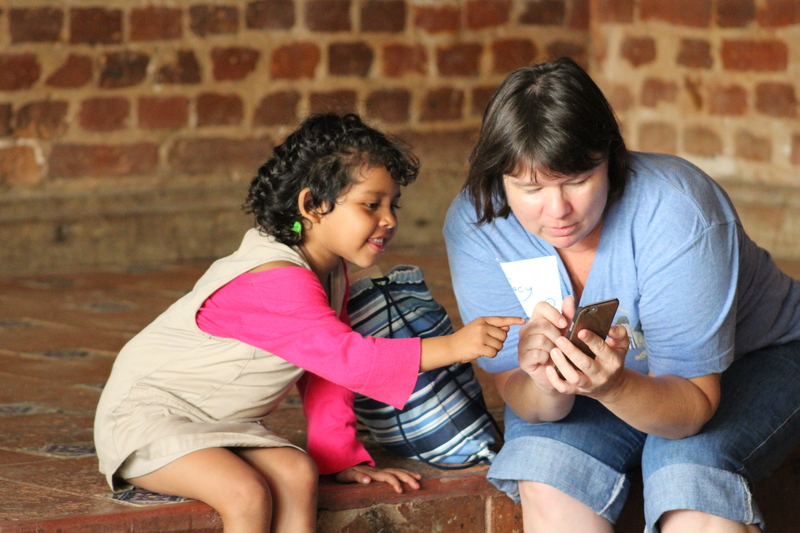 Our visit to Nicaragua wasn’t all work and studies. On afternoons when we had a few hours to spare, our team had the opportunity to wander the streets of San Juan del Sur, taking in the beautiful beaches and trying all the best food Nicaragua had to offer. Our travels also took us to spectacular beachside town of Playa Gigante one morning, where we met the founders of Project WOO, a surf- tourism nonprofit that facilitates community-driven development and supports locally-lead initiatives. At the family-owned Buena Vista restaurant on top of a high coastal cliff, our volunteers were graced with a breathtaking view of the Pacific Ocean (and were visited by a few friendly canines as well, none of whom are able to surf… that we know of). By Friday afternoon, it had suddenly dawned on us that our time in Nicaragua was almost up. With teary faces and love in our hearts, we said goodbye to the life-changing individuals that we had befriended over the previous week and headed off to the airport. As we peered out over the slowly disappearing landscape, we knew — every one of us, staff and volunteer — that it would be a difficult transition back to life as we had previously known it, thanks to the many extraordinary things we had experienced over the course of just eight short days. In the end, and with the help of our many supporters, donors, and volunteers, we were able to raise $179,000 for the Free High School project (and climbing). Together, this network of kindness will help the people of San Juan del Sur move forward into a brighter 2016. Perhaps our friend Osric said it best when he compared the experience to a particularly heartwarming summer camp one evening: Once San Juan del Sur has left its formidible impression, you never truly leave. Thank you for helping us #GetKind.